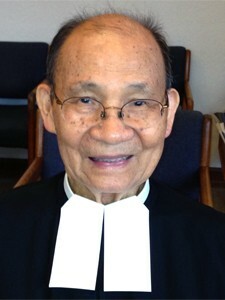 Please pray for the repose of the soul of Brother Raphael Paul Phandinh, FSC of the District of San Francisco New Orleans. Brother Raphael passed away on March 22, 2019 at the Holy Family Community, Mont La Salle, Napa, CA. Funeral services will take place on Saturday, March 30, 2019 at Mont La Salle, 4401 Redwood Road, Napa, CA 94558. 02-1965 Athis-Mons, Paris, France, Second Novitiate, C.I.L.